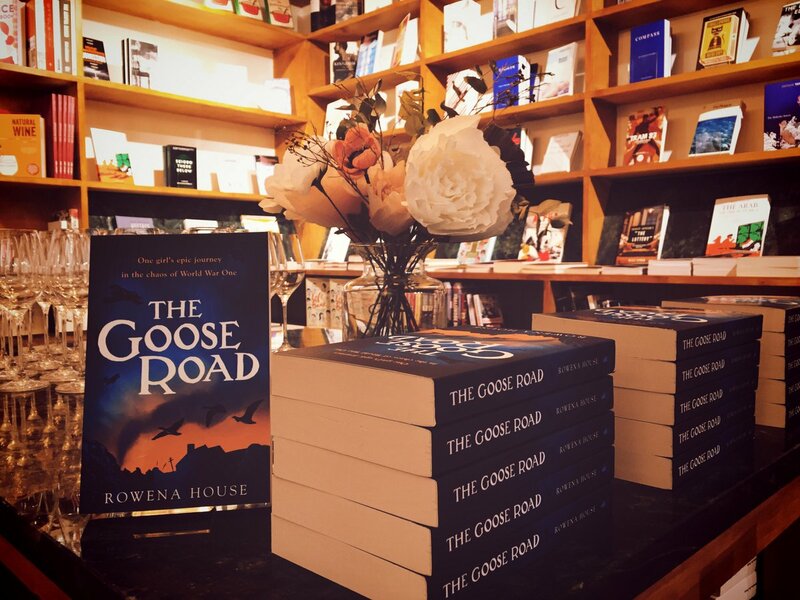 Having spent the past month writing blogs for my launch tour, containing pretty much everything I’ve got to say about writing my WW1 debut novel, The Goose Road, then curating them as they came out as guest blogs here, there & everywhere, and bouncing around Twitter & Facebook promoting the giveaways & shouting about sales (an Amazon No1 Bestseller for five days!) 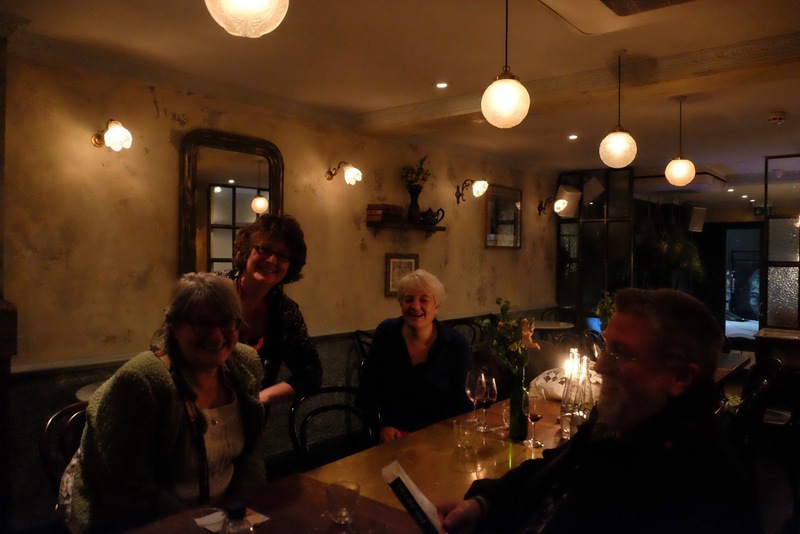 then wrapping up an amazing week with a wonderful party in chic Shoreditch on Friday night with a hugely talented group of friends, I don’t have any more words to say. I'll recover my ability to write by May - hopefully. Meanwhile here are some pictures from the party. THANK YOU to every reader, review, friend & relation who's helped to make this an amazing time. Mara Bergman, my wonderful Walker editor, and Vanora Bennet, an amazing novelist and journalist with whom I worked at Reuters - and hadn't seen for a couple of decades! 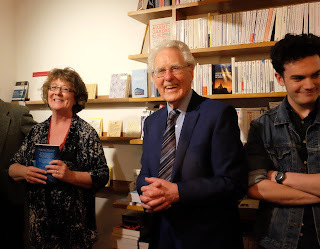 With my dad and son at the lovely Caravanserail bookshop, in Cheshire St, London E2. Best writing buddy Eden Enfield (between son & husband) recommended the venue. None of this would've happened without her! And Liz MacWhirter came all the way from Scotland! Mwa. Her stunning historical debut, Black Snow Falling, will be out in August. We rounded the evening off with dinner & more wine. 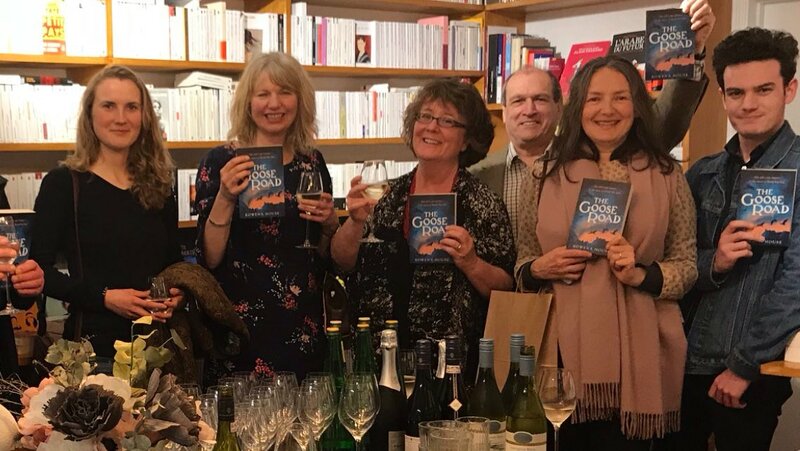 That's my lovely agent Jane Willis in the middle (so, so pleased she made it after London Book Fair week!) and Jan & Lesley Carr. 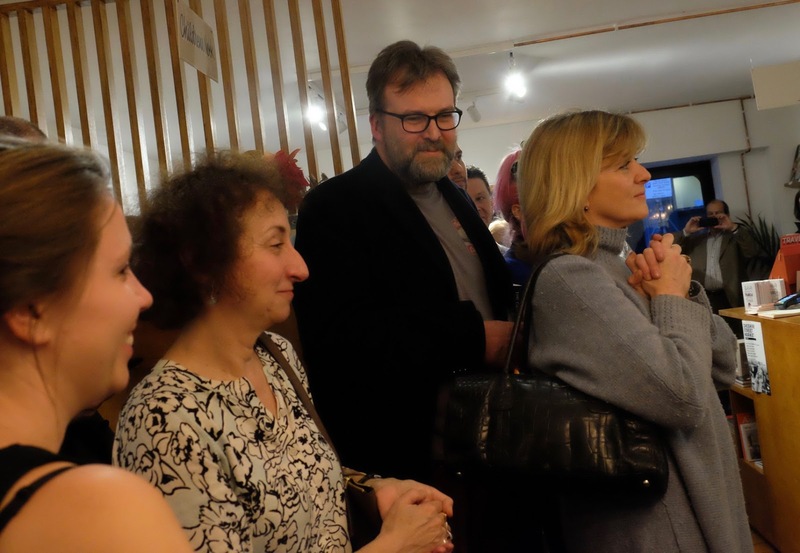 Hugs to everyone who came, and many, many thanks too to Candy Gourlay for most of these photos. PS links to the launch blogs are on my website rowenahouse.com if you're interested. You did still have enough words left, Rowena! 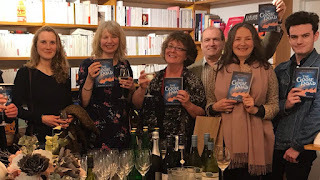 Good to hear about the end of a successful blog tour and the launch of your new book. Best of luck with the new project. I have bought it and am really looking forward to reading it. Thank you so much, Anne. I really hope you enjoy it.